If Diego Costa would have remained the same bullish player that’s main use is frustrating other players, we wouldn’t be having all these problems. Brazil would have ended their experimenting after two disappointing caps, while Spain wouldn’t see him as national team material. But the last two seasons have happened, and now he’s being mentioned as one of the best strikers available for both sides. With 10 goals in the first 8 matches of the season, not to mention displaying some fantastic passing and off the ball movement skills, Diego Costa just might be the best striker in the Spanish La Liga today. There are still his aggressive and close to violent mannerisms that make him a red card risk in almost every match, but for the first time in his career, the potential gain outweighs the potential problems he might cause. Brazil were never really interested in Costa. Two friendly matches in 2013, that was it. Scolari never thought of him as someone he might use in the Confederations Cup, and by that it was implied that he doesn’t have much of a chance to play for Brazil in the 2014 World Cup as well. Unlike others debated players, Costa is Brazilian through and through. He was born in the smallest state Brazil has to offer, Segipe, and was limited to street football until the age of 16. The region isn’t known for developing great footballing talents, although Clodoaldo, a world cup winner in 1970, did come out of the same place more or less. But Costa, 25, has been out of the country since he was a teenager, signing his first professional contract in Portugal, and moving on from there. Last month he was awarded his dual citizenship, and Spain have already been making some inquiries with FIFA about his eligibility. Scolari seems quite infuriated when being asked about Costa and Spain, and even more when the situation is compared to Scolari pushing for Deco and Pepe to play for Portugal despite being Brazilian. 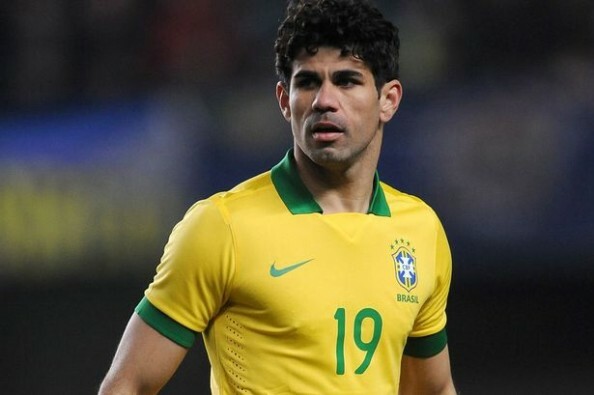 Unlike the two, Costa has actually already played for Brazil. They had never even been considered for the Selecao. I just find it strange that a player can actually represent two different national teams. Are we going back in time when Spain could field Puskas and di Stefano and that was OK? Spain aren’t giving up as well, saying it’s for the player to decide, although Brazil might have a case at FIFA by claiming that being a host nation deprived them of the right to play official matches, eliminating their chance of locking in Costa to his home nation forever.